Ms. Salles is a versatile attorney with experience in both transactional and litigation matters. 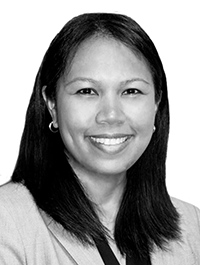 She concentrates her practice on complex commercial leasing matters within the telecommunications industry and provides legal advice and counsels clients on ground, tower, and rooftop leases. Ms. Salles also represents clients in license negotiations for small cell and Distributed Antenna Systems (DAS). In addition to focusing on telecommunication leasing, Ms. Salles has experience in providing legal counsel in structured tax credit transactions and represents the Firm’s commercial real estate clients on litigation matters in state and federal court. Prior to joining Ginsberg Jacobs, Ms. Salles practiced in the area of eminent domain and condemnation at Holland & Knight LLP, where she provided legal advice and represented state agencies in her capacity as a special assistant to the Illinois Attorney General. In addition, she advised on issues related to the Freedom of Information Act and drafted zoning ordinances on behalf of municipal clients.